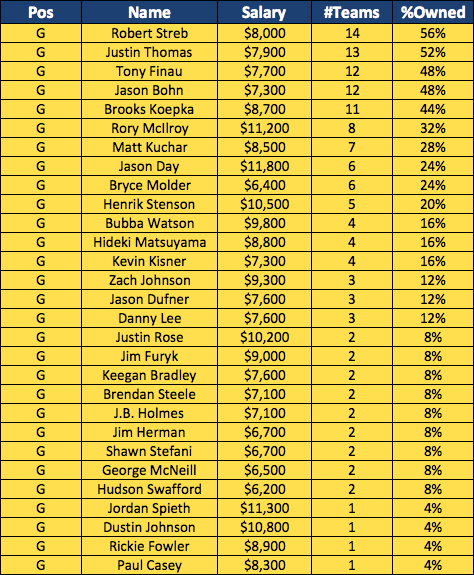 Here’s an early look at the percentage owned numbers for The Fantasy Golf World Championship at DraftKings this week. 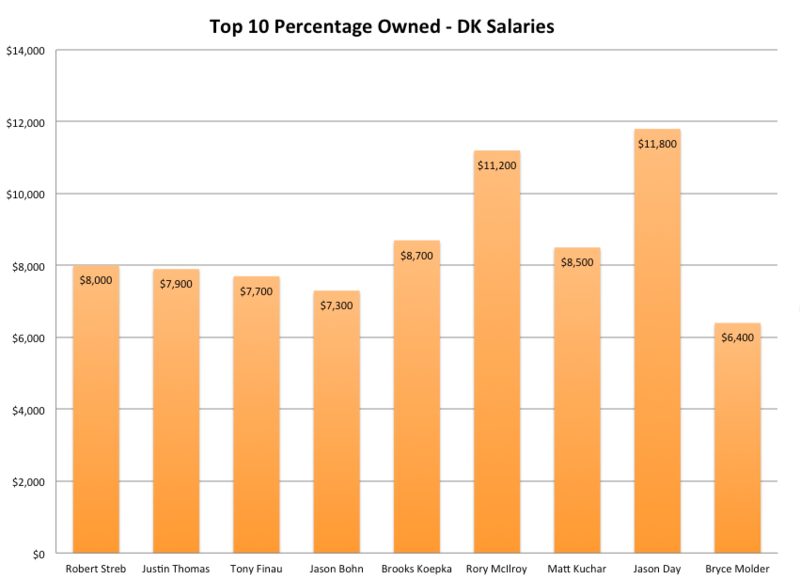 We’ll have more stats and metrics to look at throughout the weekend, be sure to follow the live blog and @DKPlaybook on Twitter for the latest updates! 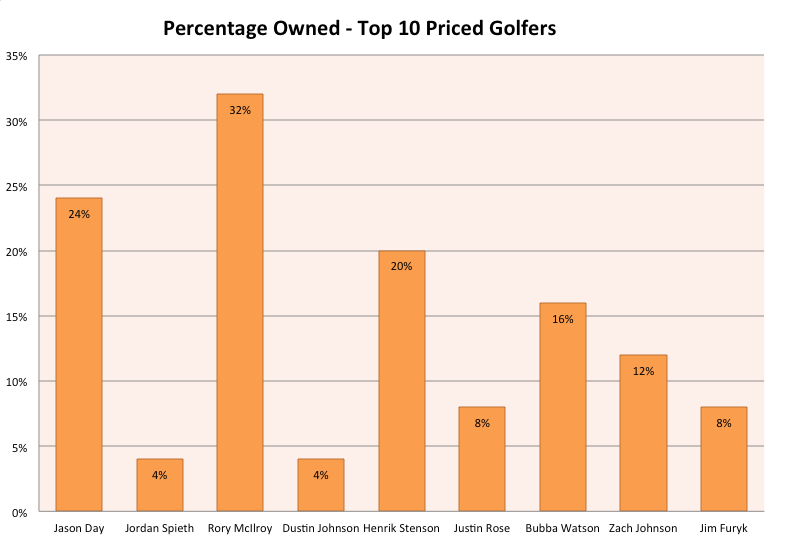 2 – Chart 2 shows DraftKings salaries for the Top 10 highest owned golfers this week.